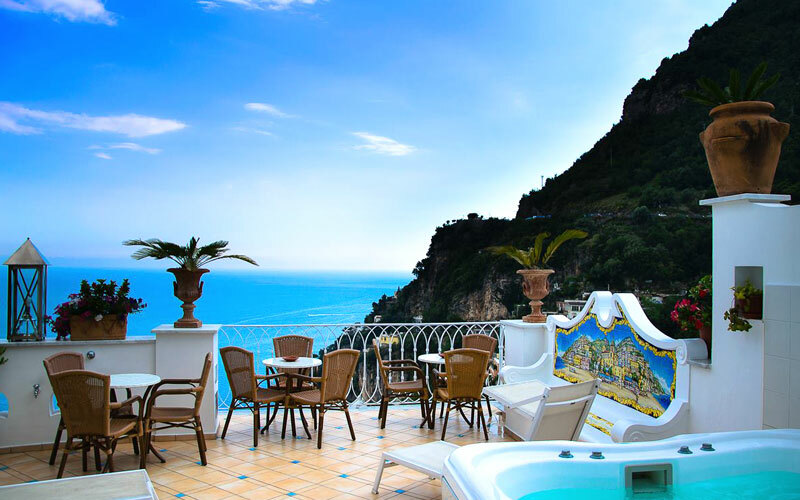 The colors of the sea off Positano which blend seamlessly with the endless sky above the Amalfi Coast: these are the shades of blue you will find in your room, where the morning sun reflects off the soft blue majolica-tiled floor and crisp white walls of the Boutique Resort Palazzo Marzoli, an exclusive boutique accommodation in the heart of the Amalfi Coast. 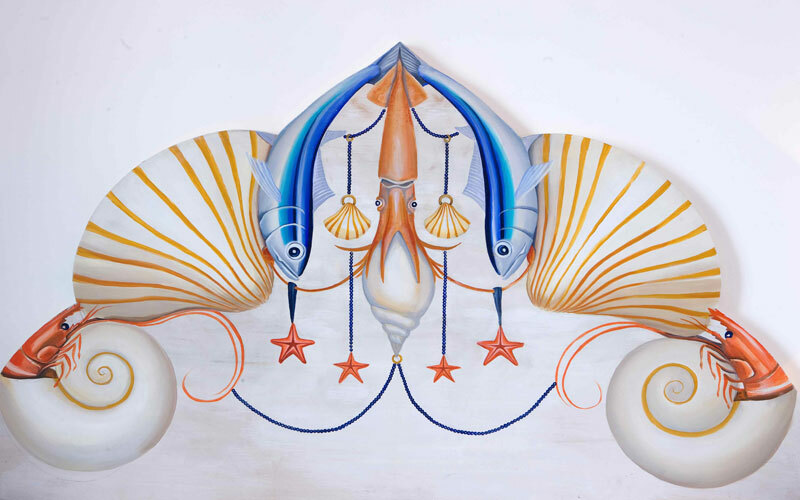 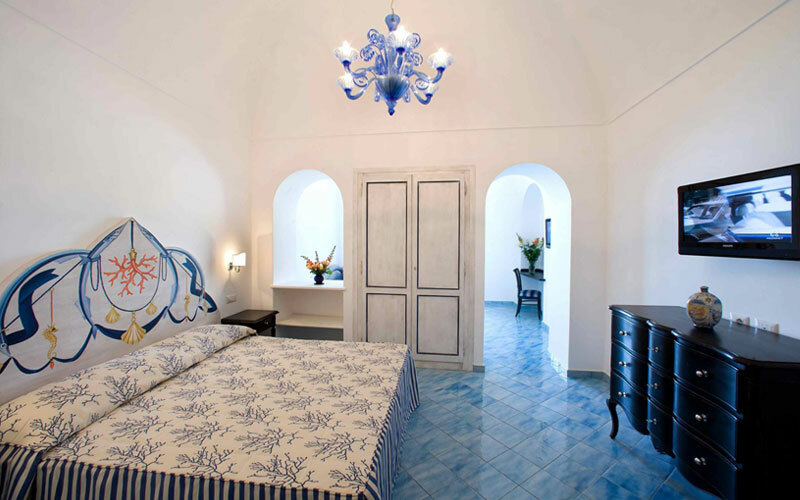 Each decorative detail in Palazzo Marzoli reflects the classic Mediterranean style: understated yet refined decor, a palette of soft nautical blues and spotless white, Murano glass chandeliers, and unique headboards painted by hand with traditional marine motifs. 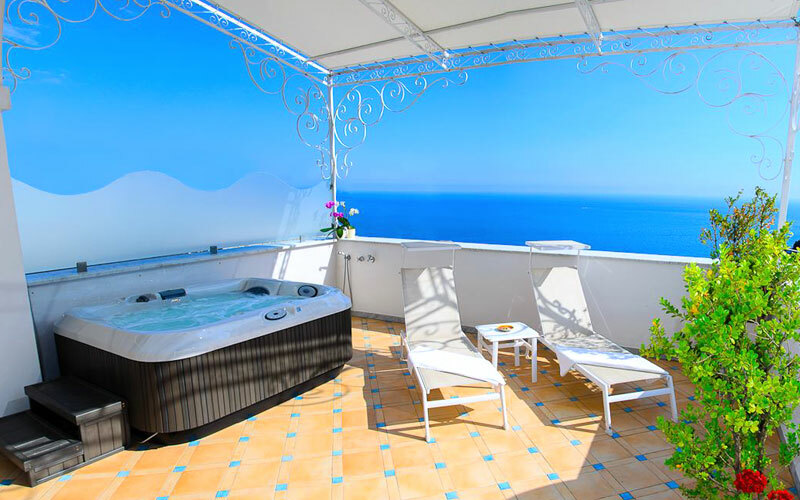 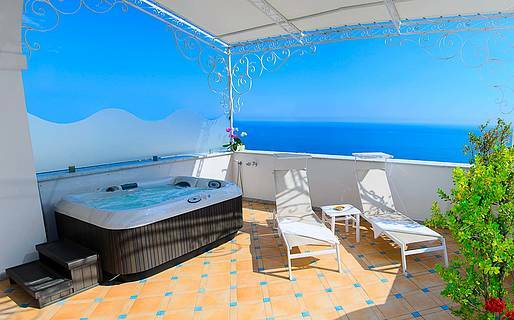 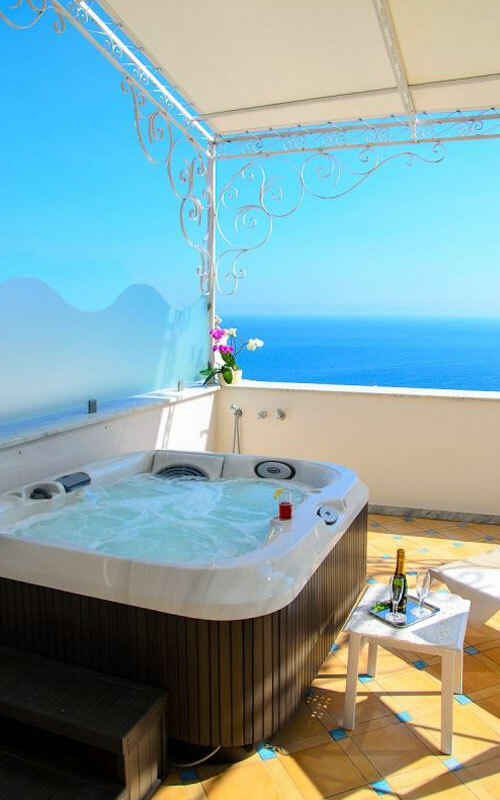 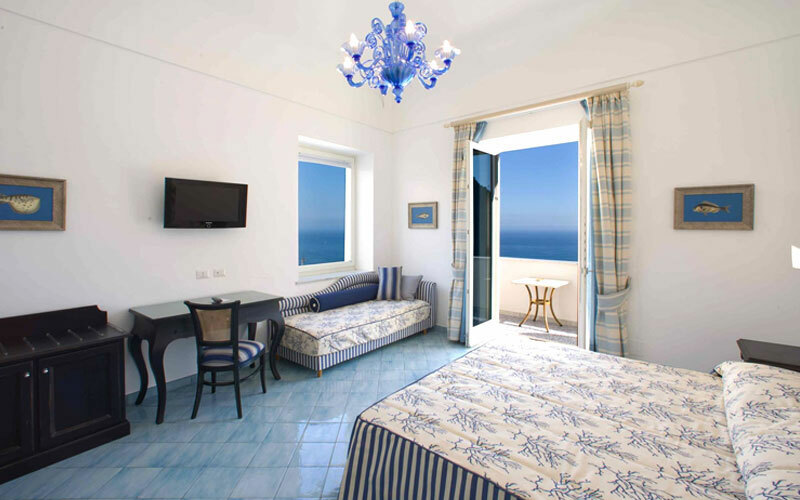 The guestrooms are designed with comfort in mind so you can unwind during your stay: ensuite bathrooms with a tub or shower, a private terrace or balcony where you can linger over breakfast in your room, savoring the view and the warm Mediterranean sun. 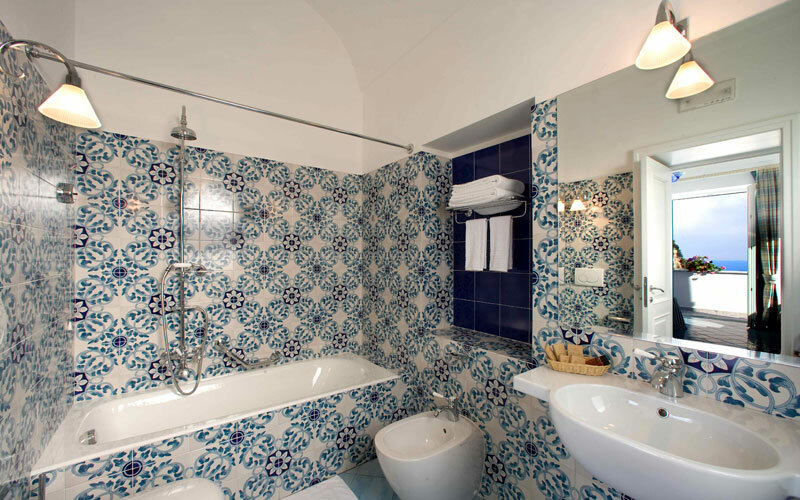 During your stay at Palazzo Marzoli, dedicate some time to recharging your batteries and indulge yourself with some luxury papering. 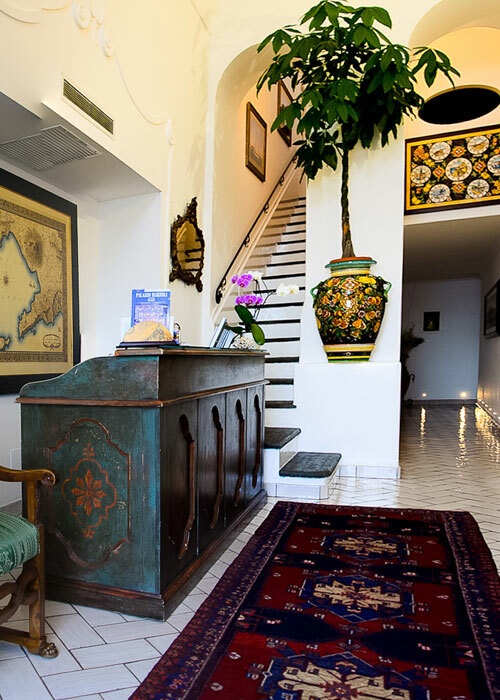 Book one of our spa treatments and rediscover the peace of a stress-free mind and body with a relaxing massage or other personalized treatment. 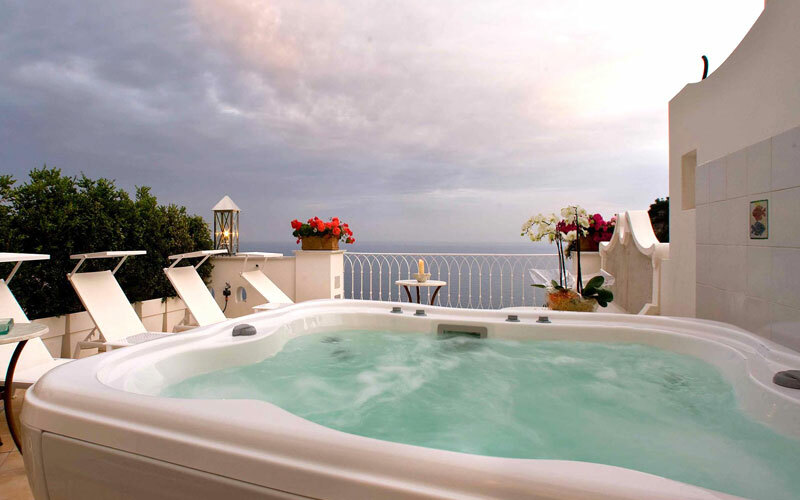 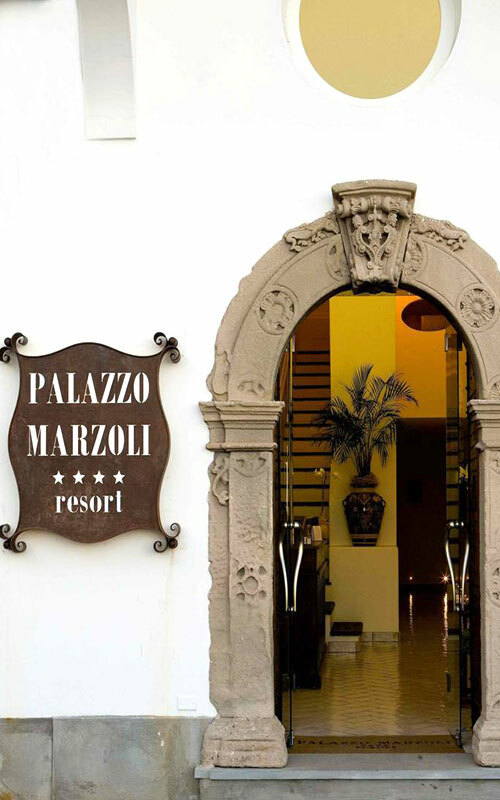 The staff at Palazzo Marzoli Resort, Exclusive Rooms & Suites is always happy to offer guests assistance so their stay on the coast will be unforgettable. 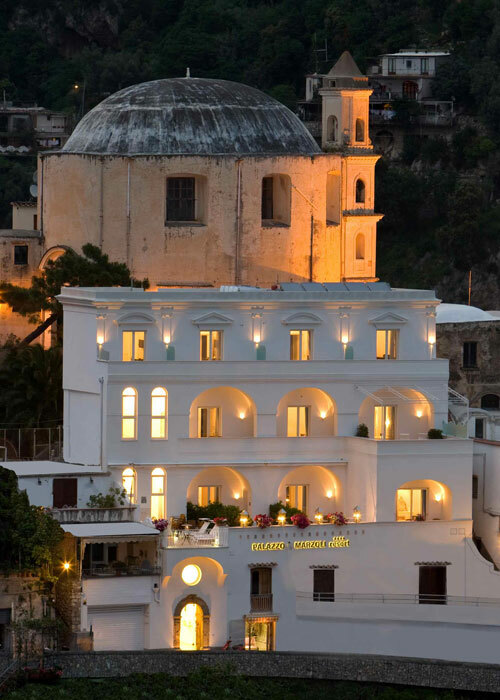 Ask us about our babysitting services, transfers to and from the airport in Naples and Rome, and shuttle services to the center of Positano. 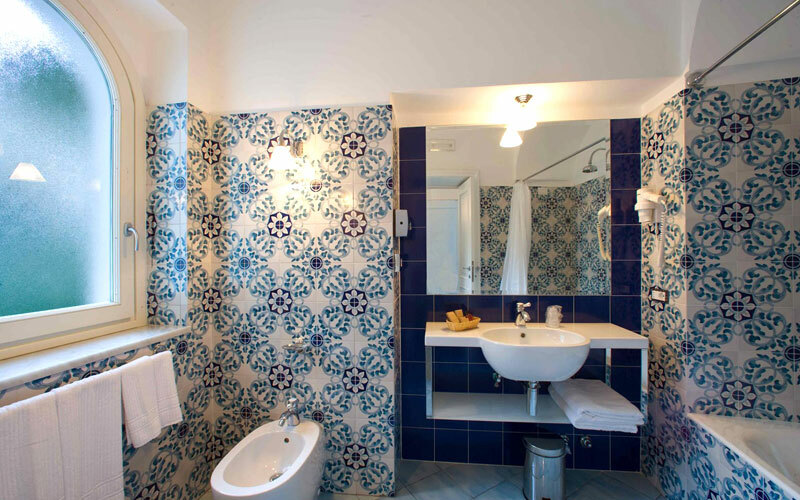 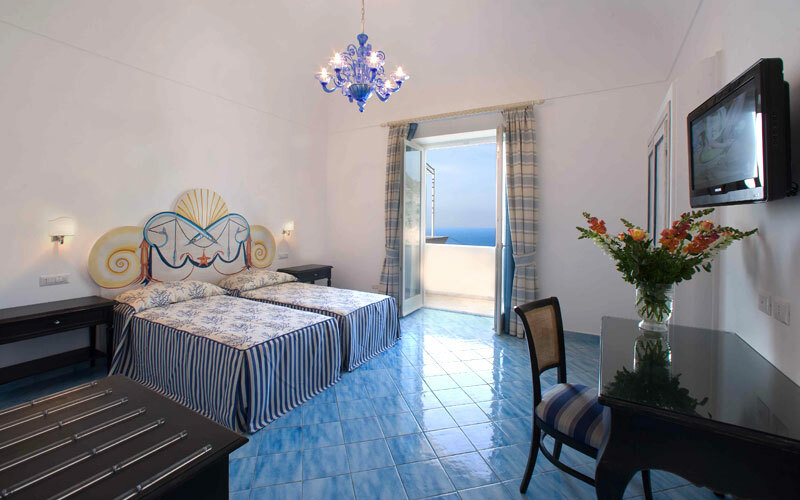 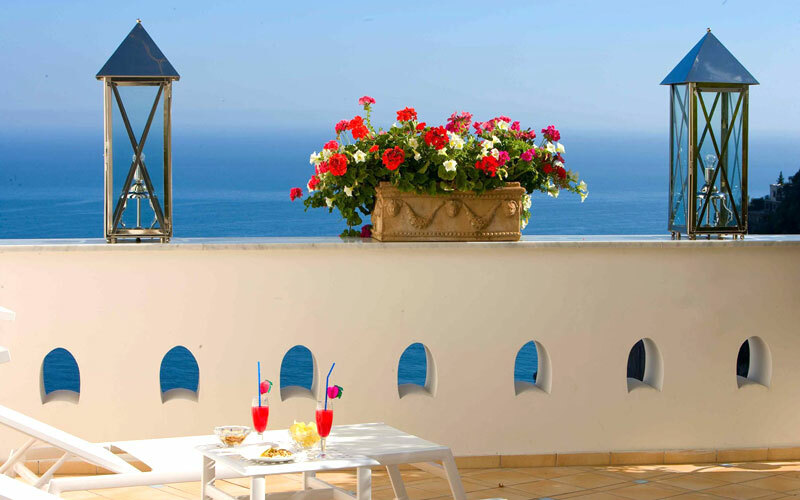 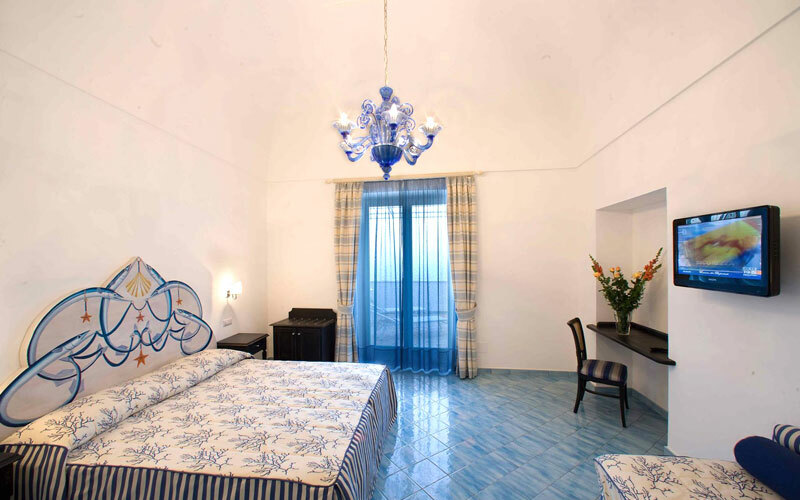 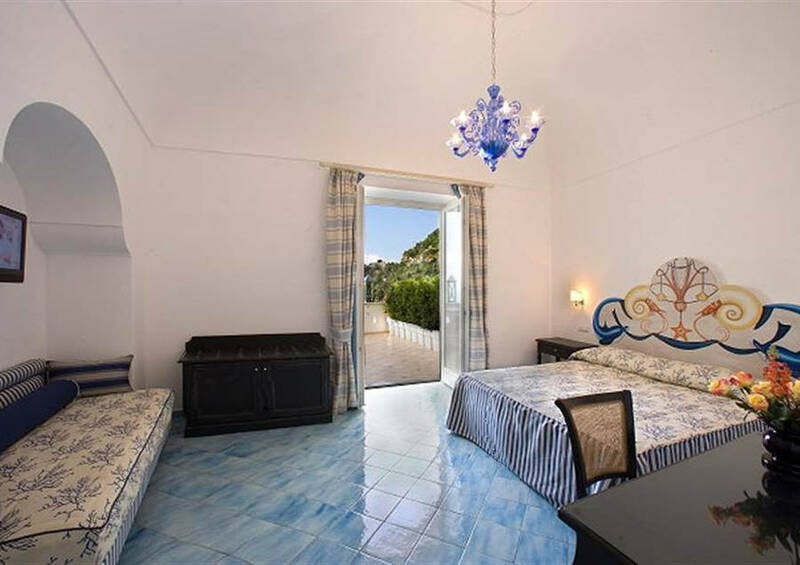 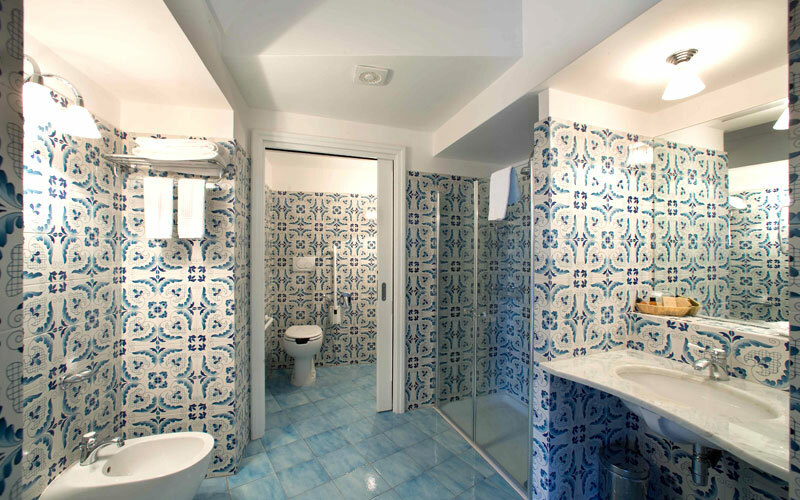 The rooms boast stylish Mediterranean decorations, with colourful tiled floors, elegant chandeliers, and stylish furniture.